Size: approx. 50 mm. Photo: 09/03/14, 9 pm. This big boy is a Brown Prionid that was attracted by our porch lights. 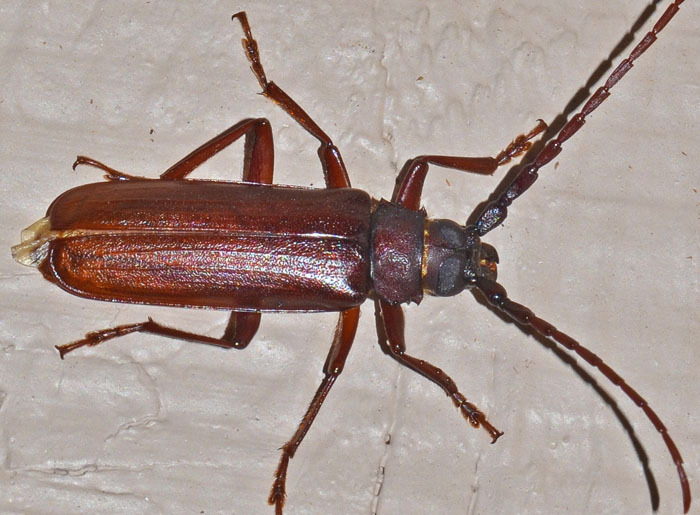 The common, wood-boring beetle lives in moist forests. Its larvae breed in rotting, wet wood. Mated females are attracted by carbon dioxide and oviposit most frequently in places where the concentration of the gas is highest.